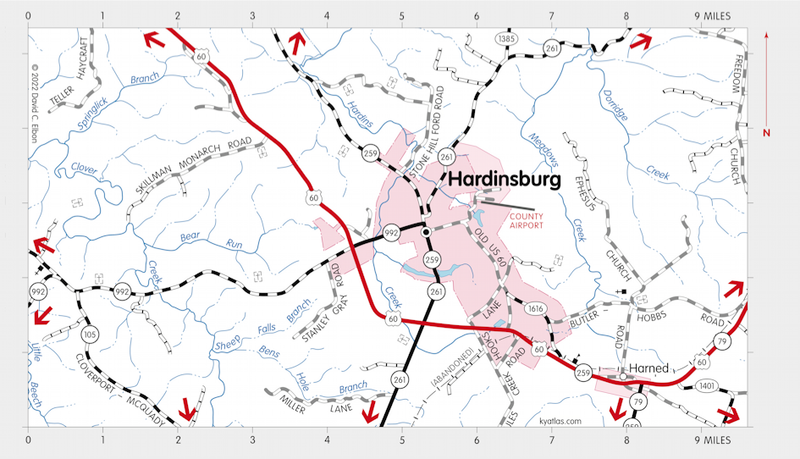 Hardinsburg, the seat of Breckinridge county, began as Hardin's Station in 1780, settled by William Hardin. Hardinsburg was established in 1800. The post office opened in 1803 as Breckinridge Court House or Hardinburg. The population in 2010 was 2,343.